Legendary investor Charlie Munger (Warren Buffett's financial partner and vice chairman of Berkshire Hathaway) invokes a set of interdisciplinary "mental models" involving economics, business, psychology, ethics, and management to keep emotions out of his investments and avoid the common pitfalls of bad judgment. In a new book focused on lessons learned from Munger, Tren Griffin (who works at Microsoft and has long focused on lessons learned from many investors) shares insights on decision making and the psychology of human judgment -- especially as it applies to investing and risk. But Griffin believes that these lessons can be applied to all of us in our daily lives, not just by investors. (He also argues that investing may be one of the last liberal arts). 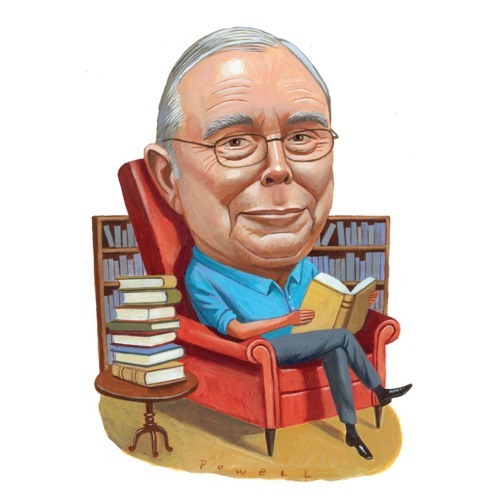 So how then do we channel our inner Munger? In this episode of the a16z Podcast, we discuss how to think about thinking; why the best investors and business leaders spend more time on what they DON’T know; and how the best way to be smart is to ... not be stupid. completely wrong that zuck was the big visionary. first off friendster had 40m users and was exploding in growth. he copied it for fun at harvard. he didnt even expect to get more than 400-500 users. no big vision at the start.